One News Page United Kingdom > UK News > Southend High Street: Is the town's shopping scene dying? 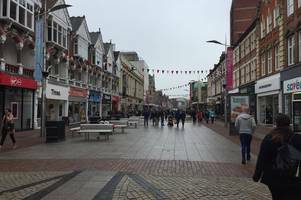 Southend High Street: Is the town's shopping scene dying? We spoke to councillors, shoppers and tradespeople to see what they thought of the town. 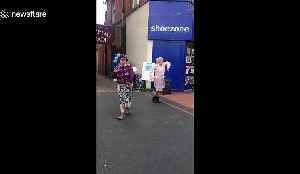 Two grannies were spotted breakdancing in the town of Bullwell in Nottingham on Friday (March 22). The clip shows the two women dancing on the high street entertaining the shoppers around them with..